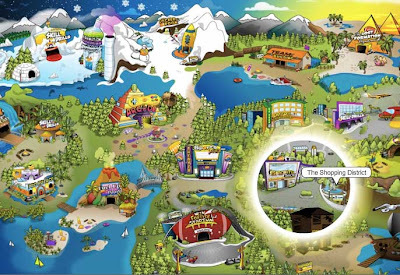 Club Penguin Cheats by Mimo777 Club Penguin Cheats by Mimo777: NEW Mimo Blaster Party TODAY! Ok, I know you like snowball fights on Club Penguin. The Mimo Blaster Party is like that only better! Check this out! 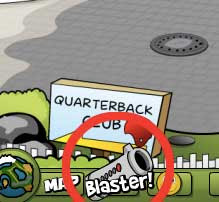 On Camp Pete You can pick what ever kind of blaster you want! With the Blaster you can a bunch of diffrent things like water, tomatoes, spiderwebs, chickens toilet paper and even the Mimo Logo! Throwing chickens is very funny. They each make a noise! 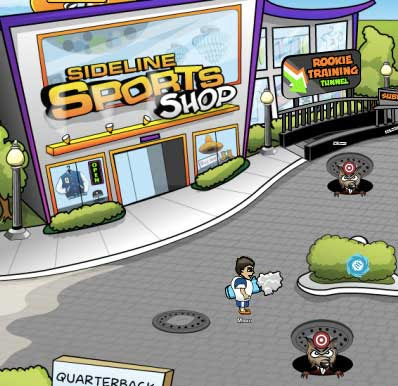 So if you like sports and football or you don't you will have a blast at the Mimo Blaster Party! Click here now and get a good username and practice your Blaster. I AM ALSO GIVING AWAY 2 FREE MEMBERSHIPS AT THE PARTY! cool! ill try to go! I love football but I'm best at swimming. Tennis, whoa! I can't explain how far I hit the ball with my racket. I hit it before 51 ft!! Cool! I wanna make one! And i will blast YOU with a chicken mimo! i'm bored so im gonna comment on here. lalalalalala elmos world! lol! i sooooo want to see what else there is. y the way, congratulations notepad333 for making the team. notepad, you know what i'm talking about. Awesome! I'm going to create a account so I can come! Look out for me! Awesome! I am not athletic at all. How can you blast meh with chickens? Mimo, PLEASE PLEASE PLEASE I BEG YOU!! PLEASE!! You had to have gotten banned for some reason. Email them asking why you got banned. PS mimo have to ever not been able to go to your own party? You certainly have put some thought into your ideas fellow friend, and quite frankly, they're pretty intriguing! Having more puffles around the island would certain be a positive experience, and lots of fun in your igloo too. If Club Penguin were to incorporate some of these puffles, I would definitely adopt the cyclops one! As we have mentioned in our previous emails, we cannot make any promises that these ideas will be used for the island, but I will certainly pass them along for further consideration. Feel free to write back any time, we're always happy to hear from you. Mimo! i am doing a interview! This is an email response from CP, when I emailed them about some of Mimo's puffle poll ideas. That is what they said! Sorry I didn't put what it was! *Ponders also* Hmmm...My guess is early to mid February, but just a guess! Oh, I feel bad for you but Mimo wouldn't change the time for one person. Sorry. Mimo! I signed up today! It is kinda cool- AND FUN!! :)!! I missed the party!!! Waahhh!!!! i will try to get an account on camp pete! Hope to see you there! oh wait i missed it. Aaahhhh! is it on cp?are they cp memberships?